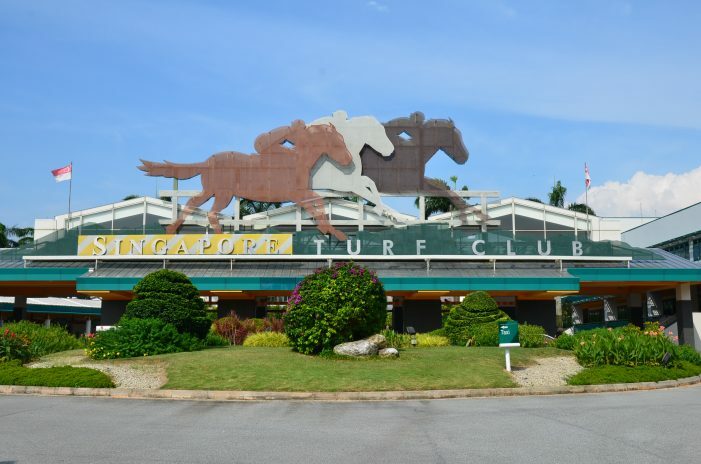 Te Akau Singapore has eight horses racing on Sunday 14 April at Kranji. After recording five wins over last weekend and two further victories on Friday, Ted Akau Singapore trainer Mark Walker leads the Trainers’ Premiership with 22 wins. 5.40 p.m. R2 11 Admiral Winston (2 g Declaration of War – Montclair) – Harry Kasim; drew barrier 11 of 12 in the $75,000 Restricted Maiden 1000 metres on the poly track and carries 48.5kgs. He is on debut, has looked good in two trials (1stand 2nd) and is likely to settle off the pace from a wide draw and run home strongly. 6.15 p.m. R3 2 Time to Rock (5 m Time Thief – Six O’clock Rock) – Nik Bakar (a4); drew barrier 1 of 12 in the $50,000 Class 4 1000 metres on the poly track and carries 55.5kgs. She will look to settle just behind the pace from barrier one and is ideally placed to run well. One of two in the race for the stable. 6.15 p.m. R3 4 Win Mak Mak (4 g Excelebration – Elusive Desire) – Harry Kasim; drew barrier 10 of 12 in the $50,000 Class 4 1000 metres on the poly track and carries 58kgs. He has a tough draw (12) to navigate, but will go forward. 6.45 p.m. R4 4 Ka Chance(4 g Redoute’s Choice – All Enfield) – Nik Bakar (a4); drew barrier 4 of 10 in the $20,000 Maiden 1100 metres on the poly track and carries 54.5kgs. He should receive a favourable trip from barrier four and rates a top four chance. The first of two in the event for Mark Walker. 6.45 p.m. R4 6 Bejewelled (4 g Minstrel Court – Diamond Jules) – Benny Woodworth; drew barrier 6 of 10 in the $20,000 Maiden 1100 metres on the poly track and carries 54.5kgs. He comes in fresh, is destined to go further but still rates a top three chance with the right trip. 7.15 p.m. R5 4 Man of Mystery (4 g All Too Hard – Black Minx) – Nik Bakar (a4); drew barrier 5 of 12 in the $50,000 Class 4 1000 metres on the poly track and carries 53.5kgs. Ideally drawn (5) to race handily, he presents as a top four prospect. 8.15 p.m. R7 7 Federation (3 g Written Tycoon – Bloomingdale Miss) – Glen Boss; drew barrier 2 of 10 in the $75,000 Novice 1200 metres on the poly track and carries 56kgs. In good form, he is ideally drawn (2) in a good field to rate a top three contender. 8.15 p.m. R7 8 Axel (3 g Darci Brahma – Josephines Fortune) – Benny Woodworth; drew barrier 5 of 10 in the $75,000 Novice 1200 metres on the poly track and carries 56kgs. Has been kept fresh, meets a strong field but is racing in good form and can be considered a top four chance.